Home Unlabelled 12 Reasons that make Alison Different from other e-learning sites. 12 Reasons that make Alison Different from other e-learning sites. At Alison, all publishers provide their content for free. The learner don't need to pay for a course. Learners learn for free. For the moment, ALISON provides over 600 courses to learners across the world in ten languages. Alison offers paid certifictates and Diplomats to those who are interested in getting certification . Yes you can get your knowledge for free if you dont need certification. our are the one to request for certification. While learning at alison you have a space where you can make note , save your learning resources and more. Alison courses have duration from 2hours to 2o hours for now. 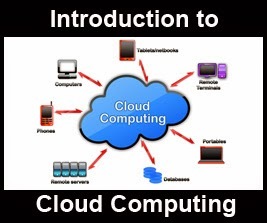 The most popular course ON ALISON is ABC IT which provide basice computer knowledge to all. At Alison, there is no time limit on completing a course, so learners can study entirely at their own pace. Alison provide a forum where learners with common interest can interact through questions and answers. Alison certificate are recognised world wide.